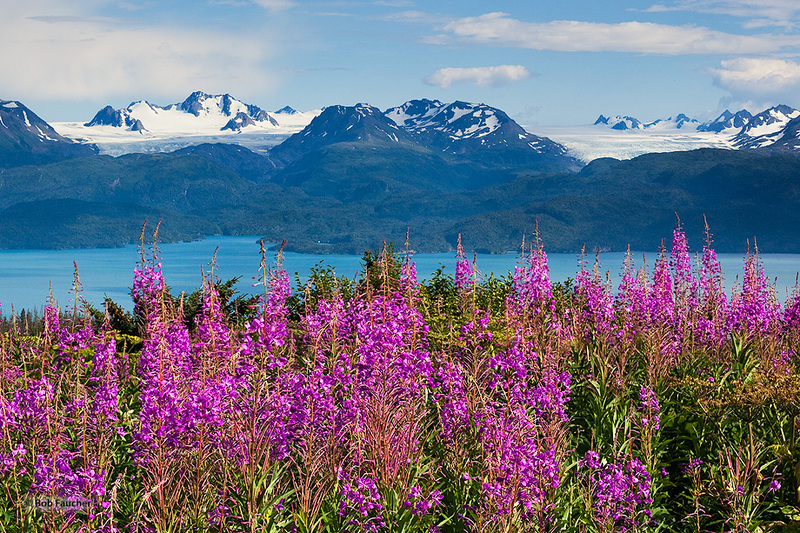 The Kenai Range has numerous glaciers that descend off the Harding Icefield. Some, like these two, move toward the Kachemak Bay. Photo © copyright by Robert Faucher.